WELCOME TO THE WEBSITE OF JL PATISSERIE (the “Company, “Pastry Atelier,” “JL Patisserie,” “us,” “we,” or “our”). PLEASE READ THESE TERMS AND CONDITIONS OF USE CAREFULLY BEFORE USING THIS WEBSITE. You must be at least 13 years old to use the Website. If you are under the age of majority in your state of residence (a minor) your parent or legal guardian must agree to these Terms and Conditions on your behalf and you may only access and use this Website with permission from your parent or legal guardian. All purchases through our Website or other transactions for the sale of goods formed through the Website or as a result of visits made by you are governed by our Terms of Sale (https://www.jlpatisserie.com/terms-of-sale), which are hereby incorporated into these Terms and Conditions of Use. Our pastries are all handmade and are therefore individual. We will do our best to match designs and colors, but there may be some variance. While we will do our best to accommodate your exact order, we cannot guarantee to exactly produce the same item ordered, whether from a picture or photo, or from a description. We provide high end pastries. Orders may be subject to slight adjustment if certain ingredients are not available or do not arrive at our shop in high quality condition. By placing your order with us, you are authorizing our experts to make necessary adjustments to the ingredients from time to time in order to ensure delivery of a high-quality product at all times. We reserve the right to use our judgment when creating and designing your pastry, and we may need to adjust your order accordingly. In the event of this happening, we will endeavor to advise you in advance if reasonably possible. 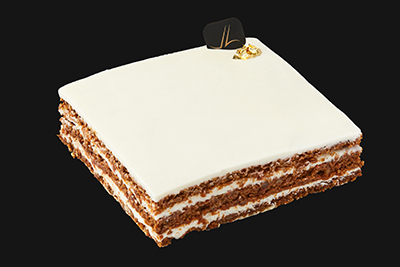 JL Patisserie reserves the right, in its sole discretion, to refuse orders, including without limitation, orders that appear to be placed by distributors or resellers who are not contracted with JL Patisserie for such purpose. If JL Patisserie believes you have made a false or fraudulent order, it shall be entitled to cancel the order and inform the relevant authorities. Due to image processing limitations and varying monitor qualities, the online images may appear different than the actual product. We reserve the right to use photos of all pastries and desserts made by JL Patisserie in any form of media. JL Patisserie does not recommend that people with food allergies consume our products, and they do so at their own risk. JL Patisserie prepares many of its products in a facility that uses various allergens, including, but not limited to, milk, gluten, dairy, soy, eggs, peanuts, tree nuts and wheat (“Allergens”). Further, many products made at, or sold by, JL Patisserie contain Allergens and therefore JL Patisserie and its successors, assigns, affiliates, subsidiaries, principals, owners, employees, members, officers, agents and contractors CANNOT and DO NOT guarantee (i) that any particular food product acquired from JL Patisserie is free of all traces of any particular Allergen and (ii) that consumption of or exposure to a food product, whether stated or not, will not result in some form of allergic reaction. Unless otherwise indicated, the Website and its entire contents, features, functionality and other materials herein (including but not limited to all information, software, text, displays, images, video and audio, and the design, selection and arrangement thereof), and the product recipes, and business processes and procedures of JL Patisserie are owned or licensed by JL Patisserie, its licensors or other providers of such material and are protected by United States and international copyright, trademark, patent, trade secret and other intellectual property or proprietary rights laws. All such materials and products are protected in all forms, media and technologies now known or hereinafter developed. You must not access or use for any commercial purposes any part of the Website or any services or materials available through the Website except through a valid contract for such purposes signed by JL Patisserie. JL Patisserie authorizes you to view the materials provided on the Website solely for your personal, noncommercial use. Title to the content provided on the Website remains with JL Patisserie or its licensors. Any use of the content not expressly permitted under these Terms and Conditions of Use is a breach of these terms and may violate copyright, trademark, and other laws. Content provided on the Website is subject to change. All rights not expressly granted herein are reserved to JL Patisserie and its licensors. If you violate any of these Terms and Conditions of Use, your permission to use the content automatically terminates, and you must immediately destroy any copies you have made of any portion of the content. The Company name, the Company logo, images/drawings of JL Patisserie, and all related names, logos, product and service names, designs and slogans are trademarks of JL Patisserie or its affiliates or licensors. You must not use such marks without the prior written permission of the Company. All other names, logos, product and service names, designs and slogans on this Website are the trademarks of their respective owners. The use of www.JLPatisserie.com and its content is at your own risk. 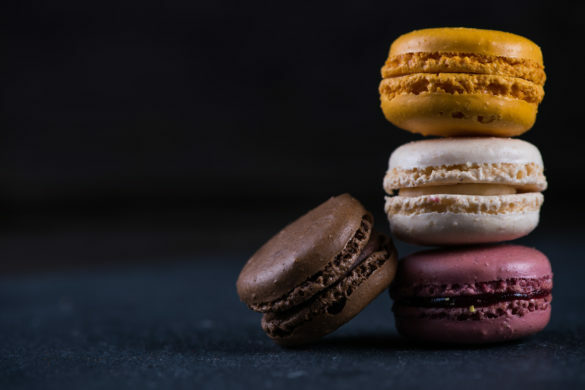 Information provided through the Website is being transmitted over a medium that may be beyond the control and jurisdiction of JL Patisserie and its suppliers. Accordingly, JL Patisserie assumes no liability for or relating to the delay, failure, interruption or corruption of any data or other information transmitted in connection with use of the JL Patisserie Website. The accuracy, reliability, completeness, current nature or timeliness of the content provided through the use of the Pastry Atelier Website. The satisfaction of any government regulations requiring disclosure of information or the approval or compliance of any software tools with respect to the content contained on the JL Patisserie Website. In no event shall JL Patisserie, its licensors or suppliers, be liable for any damages (including, without limitation incidental and consequential damages, personal injury/wrongful death, lost profits or damages resulting from lost data or business interruption) resulting from the use of or inability to use the JL Patisserie Website or the content thereon, whether based on warranty, contract, tort or any other legal theory, and whether or not JL Patisserie, its licensors, its suppliers, or any third parties mentioned on the JL Patisserie Website are advised of the possibility of such damages. JL Patisserie, its licensors, its suppliers, or any third parties mentioned on the Website shall be liable only to the extent of actual damages incurred by you, not to exceed U.S $1000. JL Patisserie, its licensors, its suppliers or any third parties mentioned on the JL Patisserie Website are not liable for any personal injury, including death, caused by your use or misuse of the content of the Website. Any claims arising in connection with your use of the Website or its content must be brought within one (1) year of the date of the event giving rise to such action occurred. Remedies under these Terms and Conditions are exclusive and are limited to those expressly provided for in these Terms and Conditions of Use. Some jurisdictions do not allow the exclusion of certain warranties or the limitation or exclusion of liability for damages. Accordingly, some of the above limitations and disclaimers may not apply to you. To the extent we may not, as a matter of applicable law, disclaim any warranty or limit our liability, the scope and duration of such warranty and the extent of our liability will be the minimum permitted under such law. The information and materials contained in this Website, including the terms and conditions of the access to and use of such information and materials, are subject to change without notice. Terminate or suspend your access to all or part of the Website for any or no reason, including without limitation, any violation of these Terms and Conditions of Use. Without limiting the foregoing, we have the right to fully cooperate with any law enforcement authorities or court order requesting or directing us to disclose the identity or other information of any one using the Website. YOU FULLY RELEASE AND AGREE TO DEFEND, INDEMNIFY AND HOLD HARMLESS THE COMPANY AND ITS AFFILIATES, SUBSIDIARIES, RELATED COMPANIES, LICENSEES AND SERVICE PROVIDERS FROM ANY CLAIMS, ACTIONS, DEMANDS, LIABILITIES, SETTLEMENTS, INCLUDING WITHOUT LIMITATION, REASONABLEY LEGAL AND ACCOUNTING FEES, RESULTING OR ARISING FROM OR ALLEGED TO RESULT OR ARISE FROM, YOUR VIOLATION (OR VIOLATION BY ANYONE USING YOUR ACCOUNT) OF THESE TERMS AND CONDITIONS OF USE. These terms and conditions are applicable to you upon your access of the JL Patisserie Website. JL Patisserie may for any reason and at any time without notice terminate or modify these Terms and Conditions. JL Patisserie is based in Maricopa County, Arizona, in the United States of America. JL Patisserie makes no claim that its content is appropriate or may be downloaded outside of the United States. Access to the content of the Website may not be legal by certain persons or in certain countries. If you access the Website from outside the United States, you do so at your own risk and are responsible for compliance with the laws of your jurisdiction. The following provisions of the Terms and Conditions of Use survive the expiration or termination of this Agreement for any reason whatsoever: Liability; Indemnity; Jurisdiction, and Complete Agreement. You expressly agree that exclusive jurisdiction for any dispute with JL Patisserie resides in the courts of the State of Arizona, and you further agree and expressly consent to the exercise of personal jurisdiction in the courts of the State of Arizona in connection with any such dispute, including any claim involving JL Patisserie, its affiliates, employees, officers, directors, contractors, telecommunication providers and content providers. These Terms and Conditions of Use are governed by the laws of the State of Arizona without respect to its conflict of laws principles. If any provision of these Terms and Conditions of Use is found to be invalid by any court having competent jurisdiction, the invalidity of such provision shall not affect the validity of the remaining provisions of these Terms and Conditions of Use, which shall remain in full force and effect. No waiver of any of these Terms and Conditions of Use shall be deemed a further or continuing waiver of such term or condition or any other term or condition. JL Patisserie and this Website respect the intellectual property of others. If you believe in good faith that any logos, trademarks or material available via the Website infringes a copyright you own or control, you may file a notification of such infringement with our Designated Agent as set forth below. Please see 17 U.S.C. § 512(c)(3) for the requirements of a proper notification. You should note that if you knowingly misrepresent in your notification that the material or activity is infringing, you will be liable for any damages, including costs and attorneys’ fees, incurred by us or the alleged infringer as the result of our relying upon such misrepresentation in removing or disabling access to the material or activity claimed to be infringing. In accordance with the DMCA and other applicable law, JL Patisserie has also adopted a policy of termination, in appropriate circumstances and in our sole discretion, of users who are deemed to be repeat infringers. JL Patisserie may also, in its sole discretion, limit access to the Website of any users who infringe upon any intellectual property rights of others, whether or not there is any repeat infringement. Acceptance of Order. Your placement of an order does not necessarily assure that we will accept your order. We require 72 hours’ advance notice for orders and must be paid in full when the order is placed. Orders not cancelled within 72 hours of their expected pick-up date are non-refundable. We reserve the right to refuse any order in our sole discretion. Before accepting your order, we may require additional information if you have not provided all of the required information to complete the order. Once a properly completed order is received, authorization of your form of payment is received and you have received a confirmation email from us, we will promptly place your order. There may be a time when we need to contact you regarding delivery, pick up time or questions with your order. Pricing and Availability. All prices for products (and the associated tax) are shown in U.S. dollars. All items are subject to availability and we reserve the right to impose quantity limits on any order, to reject all or part of an order, and to discontinue products without notice, even if you have already placed an order. All prices are subject to change without notice. JL Patisserie cannot guaranty availability of any product in the event purchaser fails to timely pick up an order at the scheduled date and time. JL Patisserie may, in its sole discretion, limit or cancel the quantities offered on the Website or limit the sales of products or services to any person, household, geographic region or jurisdiction. Orders Discarded. Orders not picked up within 24 hours of their scheduled pick-up time may be discarded, and JL Patisserie shall not be responsible for replacing them. Changes to Orders. Any amendment to your order must be confirmed via email/writing as soon as possible, and may be subject to an additional charge if extra work is required. We will do our best to accommodate last minute changes, but this cannot be guaranteed. Payment Terms. JL Patisserie currently accepts Visa, MasterCard and American Express. By submitting your order, you represent and warrant that you are authorized to use the designated credit card and authorize us to charge your order (including taxes) to that card. If the card cannot be verified, is invalid or is otherwise not acceptable, your order may be suspended or cancelled automatically. Problems With Your Order. We attempt to be as accurate as possible; however, if a problem with your order occurs, please contact our customer service team via email at contact@jlpatisserie.com or call us at (480)859-4459 to speak with our production manager. The sole remedy in the event of our error is to do one of the following: reissue your order, cancel your order, or refund your order. All cancellations are within a 72 hour notice. Serving Sizes. The suggested serving portion per person indicated for products on the Website is general in nature, and our suggested serving quantities may not be relied upon as appropriate for every application or every individual’s serving size. Order Variation. We will do our best to match designs and colors, but there may be some variance. While we will do our best to accommodate your exact order, we cannot guarantee to exactly produce the same item ordered, whether from a picture or photo, or from a description. We provide high end pastries. Orders may be subject to slight adjustment if certain ingredients are not available or do not arrive at our shop in high quality condition. By placing your order with us, you are authorizing our experts to make necessary adjustments to the ingredients from time to time in order to ensure delivery of a high quality product at all times. We reserve the right to use our judgment when creating and designing your pastry, and we may need to adjust your order accordingly. In the event of this happening, we will endeavor to advise you in advance if reasonably possible. Handling and Storage. JL Patisserie does not assume liability for damage to products occurring as a result of improper handling and storage by you. Please feel free to discuss recommendations for handling and storage at the time of purchase or contact JL Patisserie thereafter with any questions you may have. Transporting Products. JL Patisserie is not responsible for transporting products to purchaser, and purchaser shall be solely responsible for all product transportation. 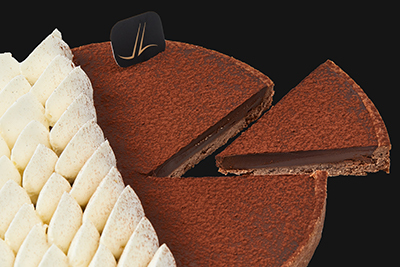 All desserts and pastries can be collected from JL Patisserie at a pre-arranged time. Once items have been collected, we cannot be held responsible for any accidental damage that may occur. If possible, we will help repair any damage, but this will incur extra costs for time and materials used. Adverse Reactions. JL Patisserie does not assume liability for adverse reactions to foods consumed. Return Policy. JL Patisserie does not accept returns or exchanges of its products except in the event of our own error. Product Guarantee. 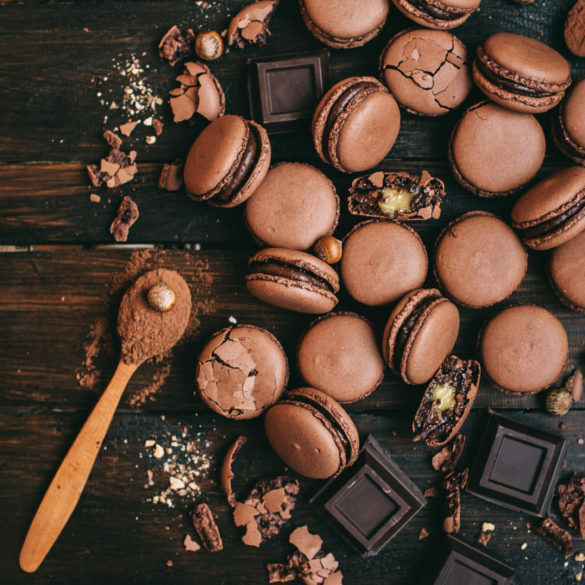 JL Patisserie guarantees that its products are produced and packed following strict quality control rules and stored in compliance with current American standards. However, JL Patisserie cannot warrant the quality of its products if the Customer does not ensure optimal storage conditions or consumes products past the “use by” date indicated on the package. Intellectual Property / Copyright information. All of the elements used on the Website (photographs, illustrations, pictograms, descriptions, logo, trademark) are and remain the exclusive intellectual property of JL Patisserie. None of the elements used for the Website (e.g. software applications, visual components or audio material) may be reproduced, broadcast, exploited, circulated or used in any way whatsoever, either in part or in full, without express prior authorization from JL Patisserie, which holds all of the copyrights. All online orders for Boutique Pick-Up, must be paid online by credit card, via a secured transaction. Payment by check or cash is not accepted. It is not possible to pay for orders at the time of pick-up. Certain seasonal or limited edition products are available during only limited periods. We aim to showcase these products online as early as possible, and before their actual availability date. You are able to exclusively preview and preorder these items and be assured of their availability on the date selected. If you have received a “Special offer code” number, you must indicate this in the space provided in your order summary. The amount of your Special offer code is automatically deducted from payment due. Whether it be a home delivery or a Boutique Pick-Up, we offer you the possibility to include a personal message with your order. A space is provided for this. Your message will be printed on Jenna Leurquin® letterhead, placed in an envelope, and included with your order. When sending a gift, we recommend that you include a personalized message as there will be no invoice or other document indicating your name included in the order package. It is possible to order by telephone by directly contacting one of our boutiques. To contact our boutiques, click here. Publicly observed data or activities, such as blogs, videos, internet postings, use generated content and in-store shopping behavior. All of the information we collect about you may be combined, which helps us tailor our communications to you and maximize your customer experience with JL Patisserie. We will send you promotional email messages if you provide us with your contact information and give you the opportunity to opt out if you wish to no longer receive the messages. You can stop receiving email messages from JL Patisserie by following the instructions provided in any such messages you receive. You can view correct or update the personal contact information you provide us by navigating to “My Account” and logging in with your username and password. The Website provides you the option to opt-in or opt-out of receiving communications from JL Patisserie. To have your information removed from the Website database, please contact us with your request online or by email. JL Patisserie or its agent may use tracking tools to serve you with interest-based advertising and to better understand your behaviors and browsing activities. We might permit third parties to gather information through the Website, including for behavioral advertising purposes. You may opt out by contacting us online or by email. Web beacons are small bits of code embedded in web pages or in emails. We may use web beacons to deliver or communicate with cookies, to count users who have visited a web page, and to understand usage patterns. We may also include web beacons in emails to learn if messages have been opened, acted on or forwarded. Web Session Variables – information that is passed from one web URL to another as you browse. Browser plug-ins/add ons – additional web components that you may need to be installed to enable certain web features on our Websites (you have the option to not install these components). We may rely on third party providers to perform a variety of services on our behalf. In so doing, we may need to share your personal information with them. Please note that we provide our service providers with only the personal information needed to perform their services and require that it be protected and not used for any other purpose. Host the Website and deliver our email messages. Contact contest winners, manage payments or take other actions on your behalf. Conduct research and analyze data to improve our products, services and Websites. Combine personal information about that the Website has collected with personal information about you that our business partner has collected so that we can jointly send tailored promotional communications to you. In such instances, our business partner will not have direct access to any information we share about you with the service provider, and only the service provider will be allowed to use the combined set of information to send you joint communications that we hope will be of interest to you. If you prefer not to receive such joint communications, you can always opt out by following the instructions provided in any such communication. JL Patisserie provides these companies with the personal information needed to provide these services on our behalf. We require these companies to protect this personal information and to not use the information for any other purpose. Disclosure is necessary to comply with law, regulatory requirements or requests from public authorities. JL Patisserie may share aggregated information that cannot identify you for general business analysis. For example, we may disclose the number of visitors to the Website. JL Patisserie uses technical, administrative and procedural measures in an attempt to safeguard your personal and other information from unauthorized access or use. No such measure is 100% effective though, so we do not guarantee that your personal and other information will be secure from theft, loss or unauthorized access or use, and we make no representation as to the reasonableness, efficacy or other appropriateness of the measures we use to safeguard such information. Users are responsible for maintaining the secrecy of their own passwords. If you have reason to believe that your interaction with us is no longer secure (for example, if you feel that the security of any account you might have with us has been compromised), please immediately notify us. Please note that email may not be encrypted and cannot be considered a secure means of transmitting credit card numbers. JL Patisserie will never ask you to submit your credit card information via email. JL Patisserie, in order to be consistent with the Federal Children’s Online Privacy Protection Act of 1998 (“COPPA”), we will never knowingly request personally identifiable information from any child. We urge parents to regularly monitor and supervise their children’s online activities. No one under the age of 18 should submit any personal information to us without the consent of a parent or guardian. Except as may be expressly provided on the Website, these Terms and Conditions of Use constitute the entire agreement between you and JL Patisserie with respect to the use of the JL Patisserie Website and its content. Please feel free to contact us with any comments, questions or suggestions you might have regarding the information described in the Website. You may contact us at contact@jlpatisserie.com.